After a tough day yesterday Jay was determined to stay focused until success was found. 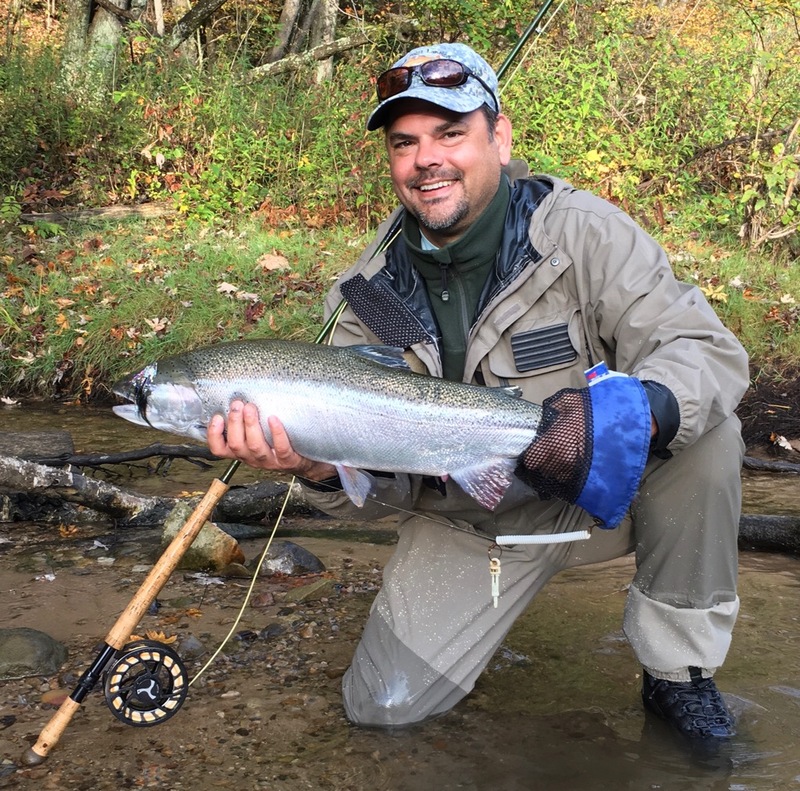 Born and raised a Michigander, Jay now lives in Houston TX and boy is he gonna make the airlines happy….it’s pretty tough to find steelhead on the two-hander in Texas. Congrats on your first steelhead on the swing. Dave is looking forward to your return someday down the road.